Place your ad for paralegal job openings in the Bradenton area here. CIRCUIT COURT JUDICIAL ASSISTANT: The Judicial Assistant provides administrative, secretarial and clerical support to the Circuit Court Judge’s office. Sample duties and responsibilities of the Judicial Assistant include, but are not limited to, the following: Prepare and maintain the Judge’s court and professional calendar; schedule motions, hearings, conferences and trials at the request of the judge; perform routine clerical tasks such as processing incoming mail, performing data entry, ordering office supplies, maintaining files/records, faxing or photocopying; screen telephone calls and visitors to the Judge’s office; provide information, resolve issues, direct caller/visitor to proper personnel, or take messages; review case files for accuracy, format compliance and completeness prior to submitting files to the Judge; ensure presence of all required files; maintain trial dockets, continuances and trial orders; prepare and distribute orders as directed by the Judge; review and prepare correspondence, memoranda, orders, reports, e-mails, and other documents observing strict confidentiality; organize papers for filing; prepare compensation and travel vouchers; perform research on defendants utilizing databases from the Clerk’s Office and the jail system; may conduct limited case law research; interact with attorneys, defendants and their family members to resolve problems such as scheduling conflicts or other case-related issues; interact with judges, clerks of court, litigants, attorneys, law enforcement personnel, bailiffs, social services, witnesses and the general public to exchange information or to facilitate task completion. Additional information regarding the position, including compensation, can be found on the career opportunities page of the Twelfth Judicial Circuit’s website at: www.jud12.flcourts.org. Interested candidates should submit their resumes to the Human Resources Manager, Tiffany Hammill, via email to: thammill@jud12.flcourts.org . [Posted: April 8, 2019]. LEGAL SUPPORT SPECIALIST: Are you professional and engaging with clients? Are you tech savvy and able to become Microsoft Certified? If so, we’d love to meet you. Williams Parker is seeking a qualified candidate for a Legal Support Specialist position. The Legal Support Specialist provides section attorneys, legal assistants, and paralegals with administrative and operational support. The Specialist also provides administrative and project management support to the entire firm. The position requires exemplary technical and organizational skills, attention to detail, strong client service skills, and excellent verbal and written communication skills. A minimum of two years’ experience working in a professional services firm is helpful. This position is often a springboard to other roles in the firm, so the most successful candidates are those who are intellectually curious, have a "can-do” attitude, and are looking to further their legal career. Professional growth is as important to us as it is to you. Please contact Christina McCurdy, CP at: cmccurdy@williamsparker.com. [Posted: March 26, 2019]. INSURANCE DEFENSE PARALEGAL: "AV” rated mid-sized law firm with offices in Tampa & Sarasota is seeking full time insurance defense or med mal paralegals with a minimum of 2 yrs. experience in: preparing for trial, discovery, medical chronologies, contact experts, from inception thru end of a case & various other duties. Benefits: Employee paid Health Insurance, 401k, profit sharing, vacation, personal time, paid long term disability insurance, bonus, etc. Competitive salary. Indicate in your cover letter which location you are interested in, Sarasota or Tampa. Please contact Richard J. Mariani, Legal Administrator, at: rmariani@walterslevine.com. [Posted: March 20, 2019]. Place your ad for paralegal job openings in the Lakewood Ranch area here. Place your ad for paralegal job openings in the Venice / Englewood area here. Place your ad for paralegal job openings in the Port Charlotte / Punta Gorda area here. PRETRIAL OFFICER (Intake & Investigation) LEE COUNTY: The pretrial officer performs professional investigative work around the clock to provide quality and timely information to the criminal courts, which supports the judicial decision to release or detain the defendant. The pretrial officer conducts a full intake/investigation on defendants as a part of the booking process into the jail. Pretrial officers verify defendants' intake information and produce a quality First Appearance report that is used by the judges as they make their pretrial release decisions. The pretrial officer reports directly to the pretrial supervisor. The pretrial officer in this position shall exercise independent judgment and initiative within the scope of authority. All Pretrial Officers are cross-trained and act as backup for other pretrial officer positions. Duties and assignments may be changed with notice based on department needs. A pretrial officer's primary responsibilities include the following: (1) Interviews and Investigations; (2) Court Preparation and Presentation; (3) Facilitate Pretrial Supervision Releases; (4) Other Duties as Assigned For further information and to apply, please visit: www.ca.cjis20.org and click the Employment Link by the closing date of 05/02/2019 11:59PM. [Posted: April 18, 2019]. PROGRAM SPECIALIST (Civil Case Manager) COLLIER COUNTY: This is a professional and highly responsible Civil Case Management position within the Administrative Office of the Courts, Civil Case Management department. Work involves the use of Circuit Civil Case types and differentiated case management techniques to promote case progression and disposition. The primary responsibility of an employee in this class is case screening and monitoring, case analysis and coordination of related civil law cases. This position will work closely with the Judiciary, Court and community programs, Civil/Family Director, Attorneys, the Clerk of Courts, and other related agencies as well as the general public. Work is performed under the direct supervision of the Civil/Family Division Director. Primary responsibilities of a Court Program Specialist (Civil Case Manager) include the following: (1) Court case management (2) Case monitoring and coordination (3) Case research and statistics (4) Other duties as assigned. For further information and to apply, please visit: www.ca.cjis20.org and click the Employment Link by the closing date of 04/29/2019 11:59PM. [Posted: April 18, 2019]. CIVIL LITIGATION PARALEGAL: 5 years of civil litigation experience required for solo law practice. Must be highly organized and have experience in handling all aspects of the litigation process from intake through trial preparation. Must possess strong knowledge of federal and state statutes, court rules, forms, processes, and procedures. Candidates must have experience answering discovery, trial and mediation preparation, and have the ability to summarize depositions. High level of attention to detail is required. Must have the ability to manage deadlines with multiple priorities, work under pressure, and appropriately handle confidential information. Impeccable judgment, discretion, respect, and integrity are required. Candidate must have the necessary experience to immediately work with cases of moderate severity and complexity. The firm places a high priority on treating others with respect and fostering a professional working environment. Flexible work hours based upon deadlines and workload. We offer a competitive compensation package, which shall be determined based on the applicant's experience and qualifications. Please forward resume and cover letter to James Oliver at: james@jamesoliverlaw.com. Only those who meet the requirements will be contacted. [Posted: March 20, 2019]. Place your ad for paralegal job openings in the St. Petersburg / Clearwater area here. Paralegal Opportunities in the Tampa Bay Area listed with Infinity Talent Solutions: April 2019 Job List. 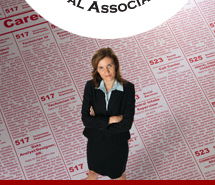 Place your ad for paralegal job openings in the Tampa area here. Place your ad for paralegal job openings in the Orlando area here. Place your ad for paralegal job openings in the Fort Lauderdale area here. Place your ad for paralegal job openings Outside of Florida here. Check out the Florida Bar's career center for more paralegal jobs in Florida: Florida Bar Career Center. Email us to post an advertisement for an opening: info@swfloridaparalegals.com.